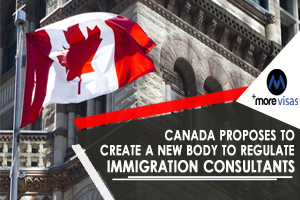 The Canadian Government is proposing the formation of a new body to regulate and govern citizenship and immigration consultants and assure their conduct of professionalism. The act to build the current, self-regulatory citizenship and immigration consultants College was tabled for a primary reading in Parliament on Apr 8 on the bases of a Canadian Globe and Mail newspaper investigative report that revealed widespread violations by many immigration consultants and global recruiters both in abroad and Canada. Consultants for Immigration are not lawyers but are entitled to provide legal services in refugee and immigration matters. They are presently regulated by the not-for-profit, self-governing, Immigration Consultants of Canada Regulatory Council (I.C.C.R.C), which was nominated by the Canadian Government in 2011. In reply to the Globe’s investigation, Canadian Refugees, Immigration, and Citizenship Minister, Ahmed Hussen, told new law to crack down on the type of violations revealed by the Globe and Mail was expected. The Globe and Mail observed into the practices of 45 global immigration consultants and recruiters who are facing allegations of exploiting higher than 2,000 international workers and students. The Globe observed many were made to pay a huge amount of money for the guarantee of work or even for PR in Canada, only for several to find out they had been lied to later coming to Canada. Before the investigation of Globe and Mail, Federal government of Canada had proposed rules to help “protect” immigrants and candidates wishing to take the services of legal immigration consultants in the 2019 Budget, it was tabled Mar19. The government intended $51.9 million in the next five years, starting in 2019-2020, and CAD 10.1 million per each year ongoing to enhance supervision of immigration consultants and increase enforcement and compliance measures. The goal of the proposed Citizenship and Immigration Consultants College is to control consultants of citizenship and immigration in the public interest and defend the public. Both the Citizenship Act and Immigration and Refugee Protection Act would also be improved to give authorities with authority to establish administrative fines and results for persons who break the rules governing the representation provision or suggestion in matters of immigration and citizenship. A report in 2017 by the Standing Committee of Canada on Citizenship and Immigration suggested ending self-regulation and producing a public-interest body that is authorized to control and direct immigration consultants and is responsible to the Canadian Government.